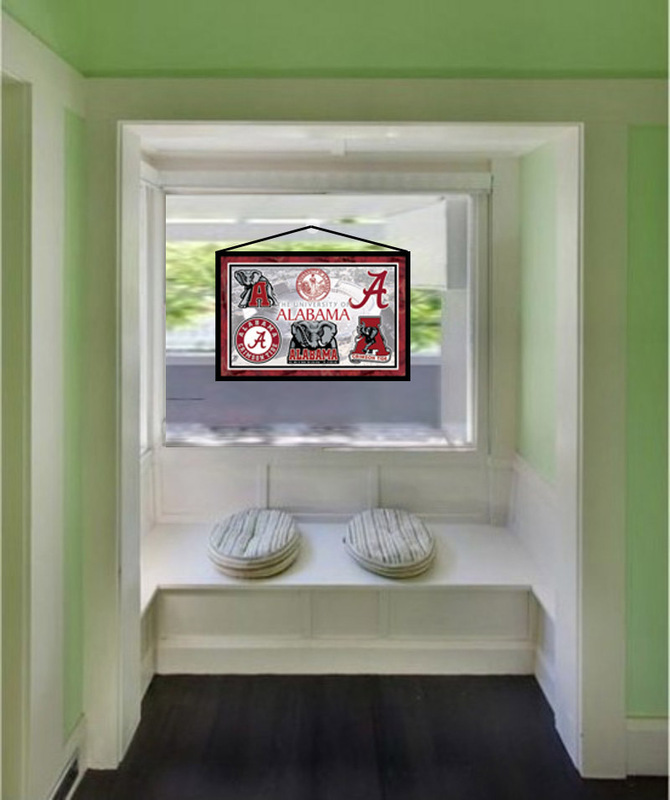 We specialize in the unique gifts for the sports fans, from decorative framed window art meant to be placed and hung from windows, like shown below. 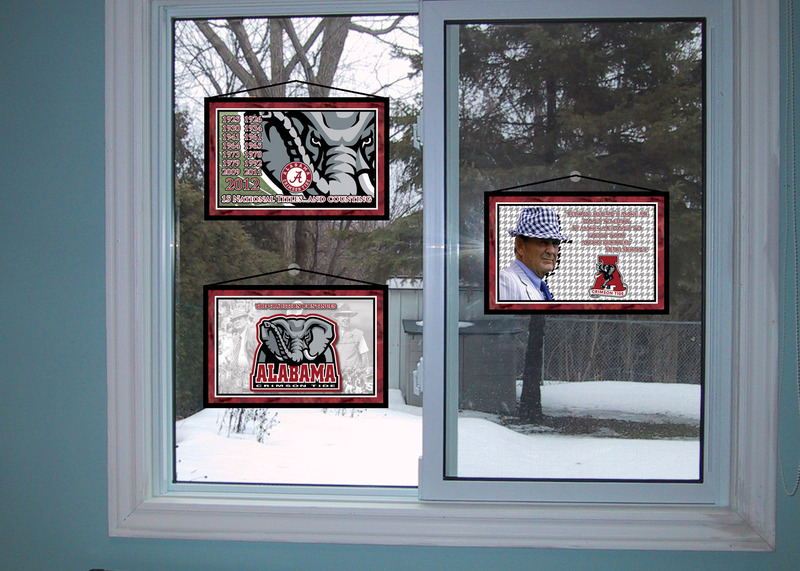 Above are examples of Sports-Grafx's new shower door window film art. 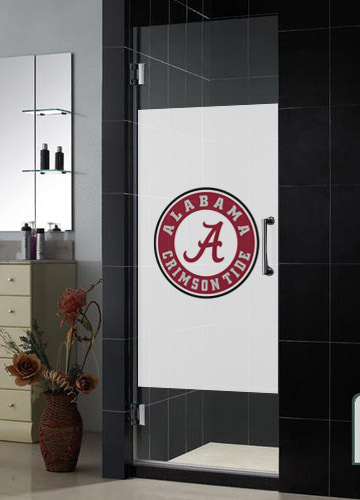 This exciting product is made for the Alabama fan who has it all. 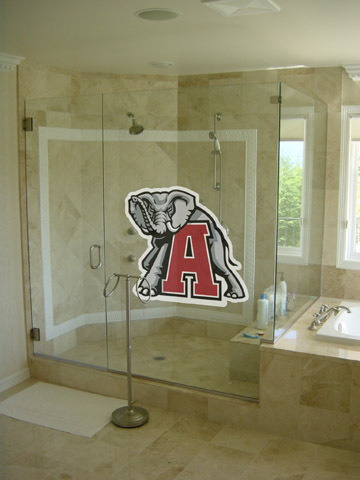 They are available in five different designs and three sizes each from our STORE. 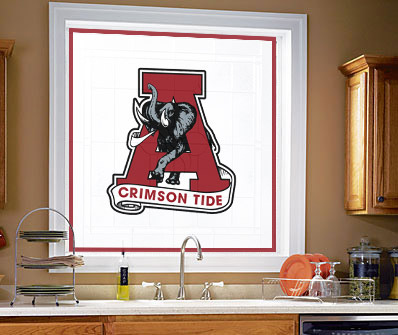 We also specialize in window film, available in three sizes in multiple designs. To order, go to our store HERE.